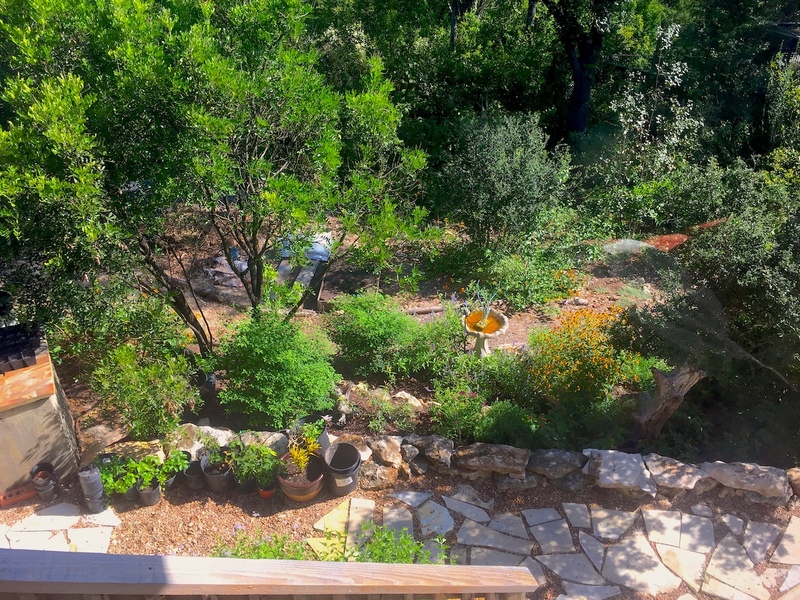 These are photos from my own personal space, an ongoing transformation of a rocky, shrubby slope. Much of it has been terraced for paths and planting beds, and most of the stone comes from the yard somewhere. I can make 3 or 4 yards of compost a year, and amend my soil with that. 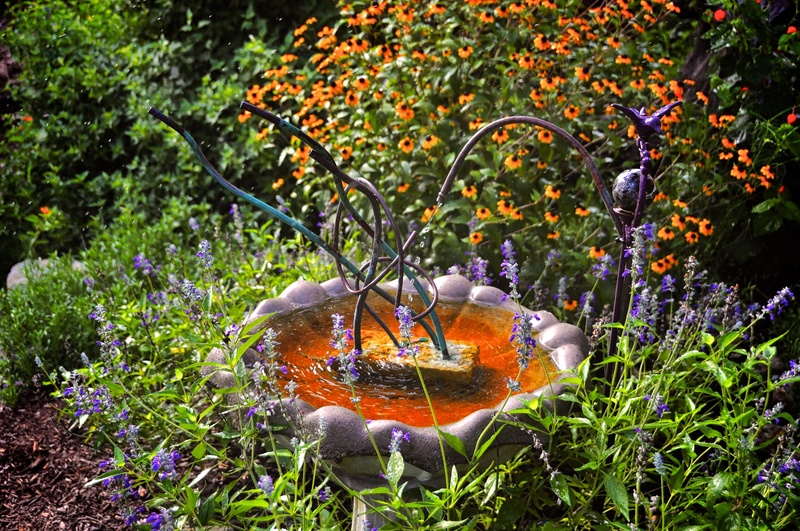 Okay, so the birdbath is a little orange. 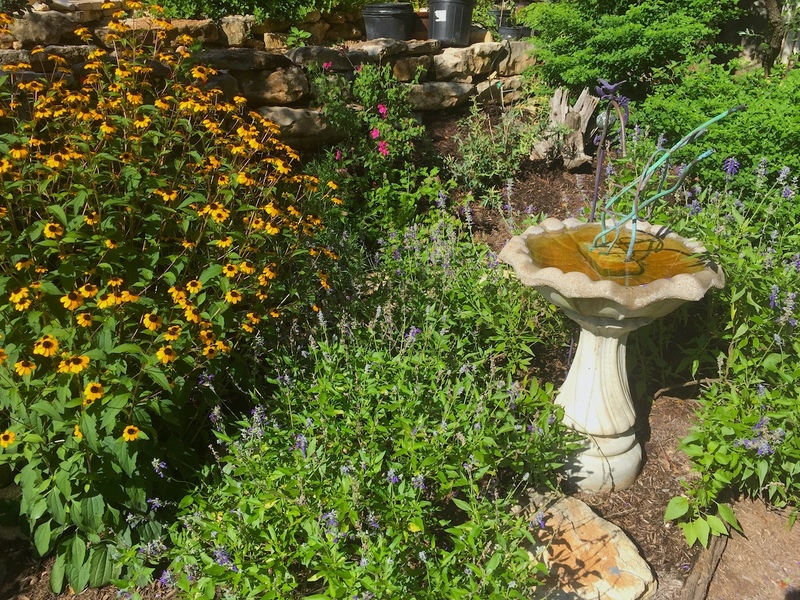 But it fills automatically from the small drip irrigation system I’ve added. This does a pretty good job of keeping the birds happy and the mosquitoes out. 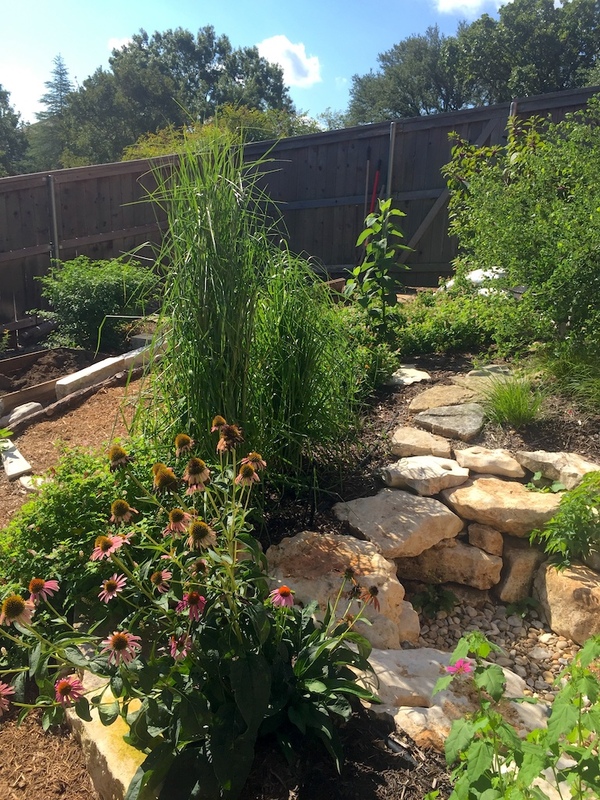 Small rainwater catchment area surrounded by bushy bluestem, purple coneflower, pigeonberry, zexmenia, rockrose and cedar sedges.